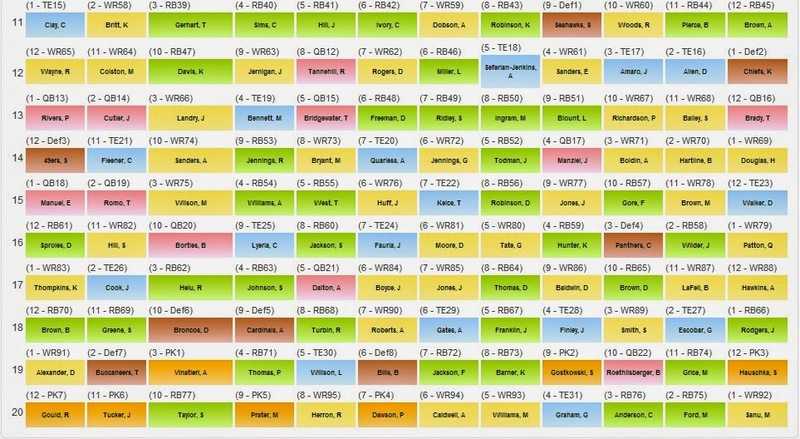 FF Toolbox supported a 20 round, 2014 dynasty start-up mock draft recently. Click the link if you'd like to take a look HERE. We find it interesting that selecting stud WR is becoming the trend this year. 14 of the top 24 picks were WRs, and in a pass happy league, it makes sense. However, we like that Remedial Geek took a "do the opposite" approach and we think it paid off. 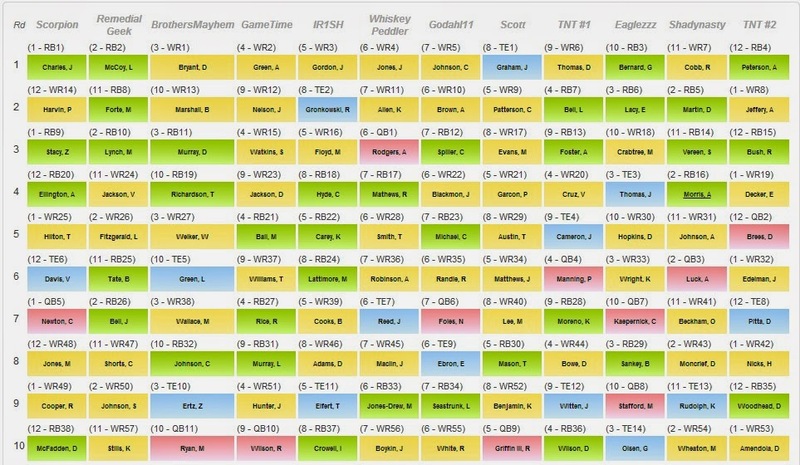 Having selected 5 RBs (McCoy, Forte, Lynch, Tate, Bell) in the first 7 rounds to combine with L.Fitzgerald and V.Jackson looks solid. It is also intriguing that Scott selected six rookies in the first 12 rounds (rounds 3, 6, 7, 8, 9, and 12). I don't like his chances in 2014, but if this is a strong 2014 draft class, he'll have some long term success.